Just as Protestants are now split into countless denominations, the Corinthian church was marred, albeit on a smaller scale, by factions and discord. It fell to Paul to reconcile the church to itself in the face of convictions alike only in the strength that their adherents clung to them with. Subjects like eating habits, doctrine, marriage, lawsuits, and worship threatened to tear apart the budding church. Paul takes the opportunity to present a different vision of diversity, where diverse people can come together under the same name, as the same body, for the same reason: to love Christ. This picture of unity is vital in today’s world, which is characterized by an extreme individualism in the name of diversity. Throughout his commentary, Craig L. Blomberg explores the subjects Paul writes about in detail, examining each one adeptly. The self-serving individualism of the world is compared with the selfless love of God and His purpose for us. 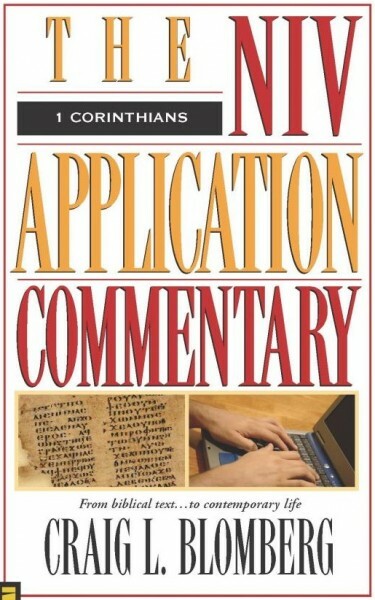 In this volume of the NIV Application Commentary you’ll read about how ancient audiences read 1 Corinthians and how we can practically apply its message to our lives.